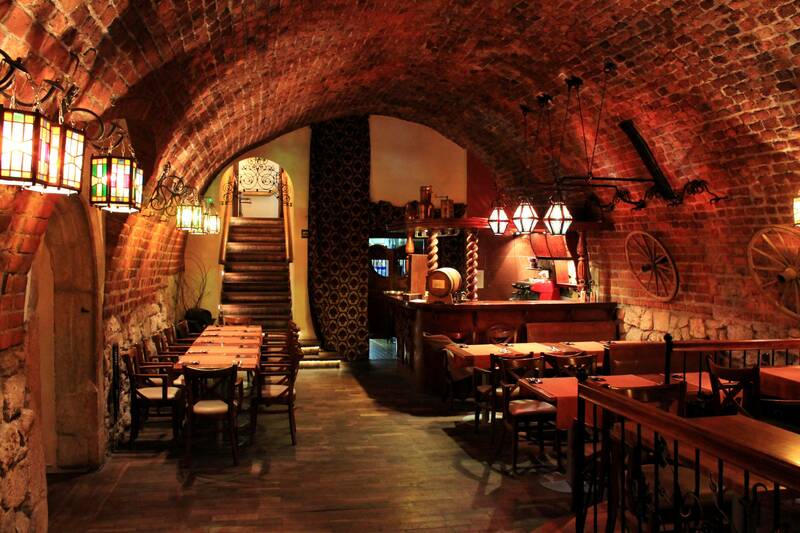 Legendary Krakow’s Old Town Restaurant Wierzynek is a luxurious place for a candle-light dinner in medieval settings. It is one of 1000 places to visit before you die. Well, despite these difficulties I decided to take on this serious task. Wierzynek as one of Cracow’s most prestigious and magical landmarks is definitely a place to visit (as the matter of fact it is mentioned in Patricia Schultz’ bestseller “1000 Places to See Before You Die”). But it is also a living legend and as such - a subject of myths that repeated so many times created new reality. 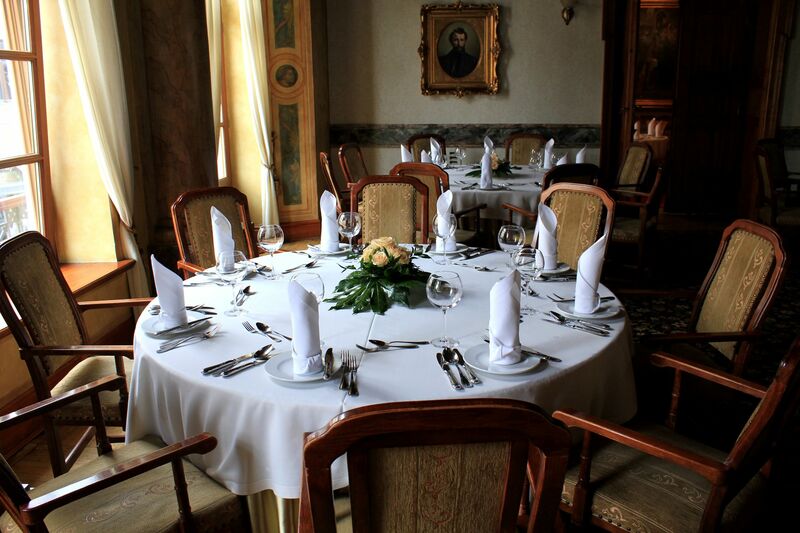 It is the historical fact that back in September 1364 at the request of the Polish king Casmir the Great, a well respected Cracovian merchant Nicholas Wierzynek the Younger organized a lavish feast to honor European monarchs gathered in Krakow. 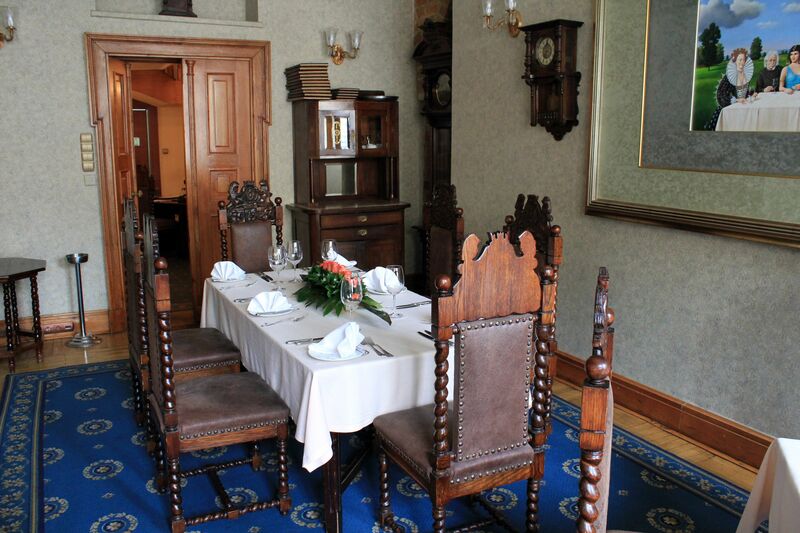 Wierzynek: Lavish feast organized in 1364 at the request of the Polish king gathered many European monarchs. The list of guest of this “Medieval G-summit” included such names as Charles IV (Roman Emperor), Otto V of Bavaria, kings - Luis of Hungary, Waldemar IV Atterdag of Denmark, Peter Lusignan of Cyprus, Rudolph IV of Austria and scores of European princes and aristocracy. Apparently the feast lasted 21 days ending as a significant triumph of the Polish Crown and an extraordinary example of its hospitality (upon departure each guest was presented with golden tableware). 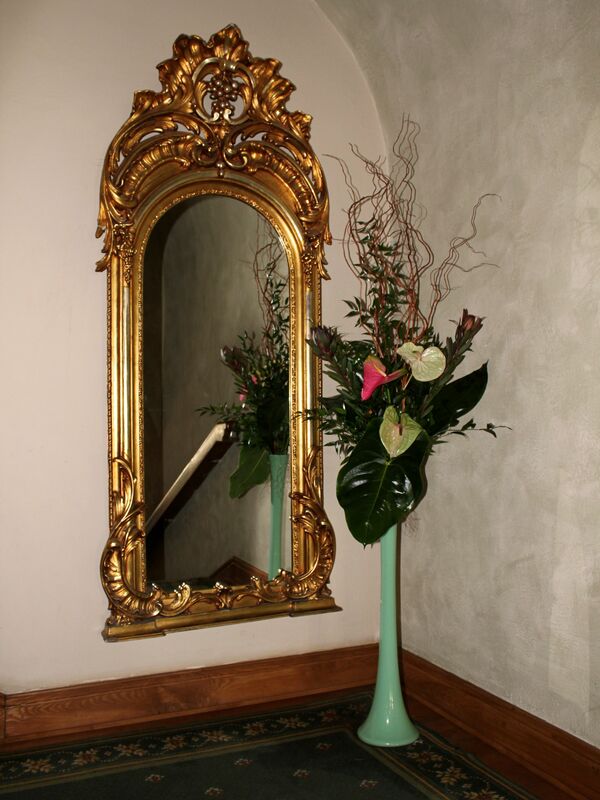 The beautiful arched portal displaying Wierzynek’s logo is the main entrance to the restaurant. 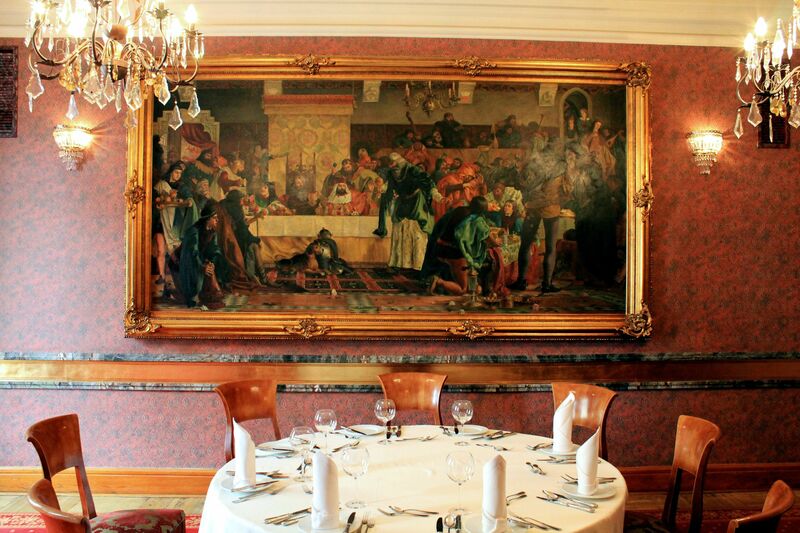 What is not clear to these days is the location where the feast took place. 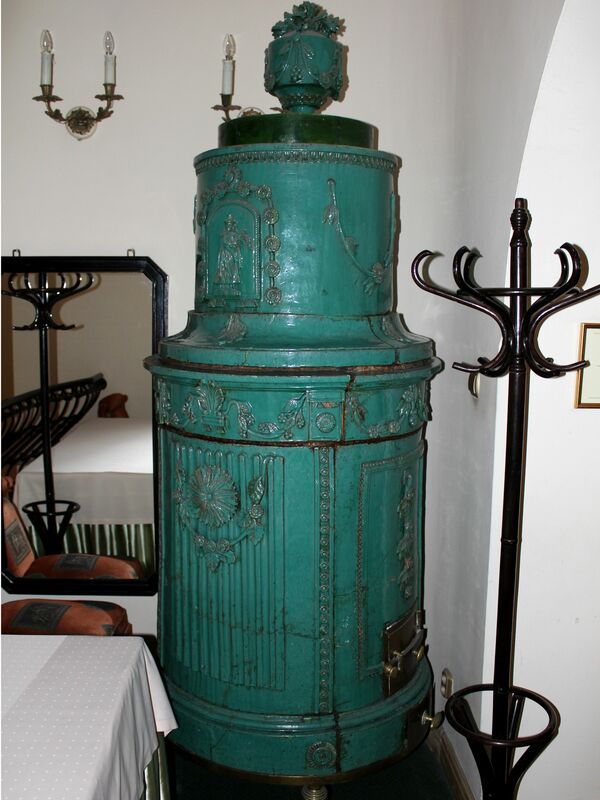 Historians tend to agree that it was not in any of the buildings today occupied by the restaurant Wierzynek. 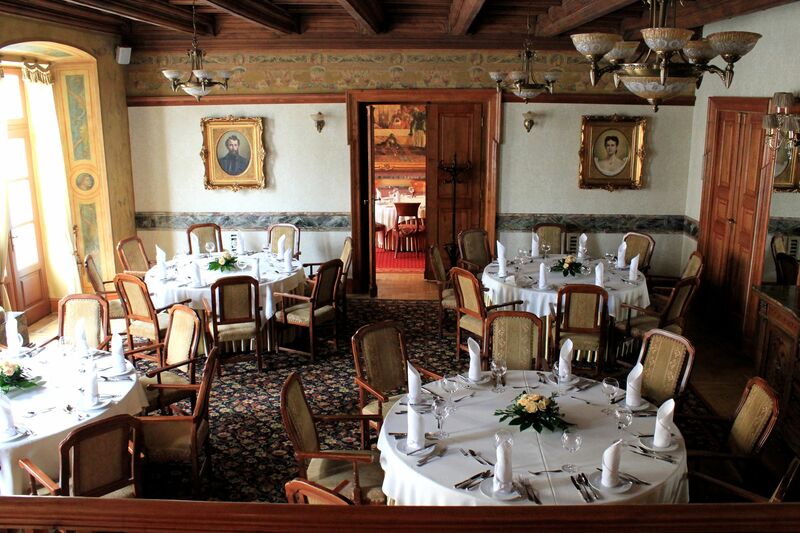 The truth is that Wierzynek - widely considered as an “oldest” restaurant in Poland - opened its doors only in 1947. 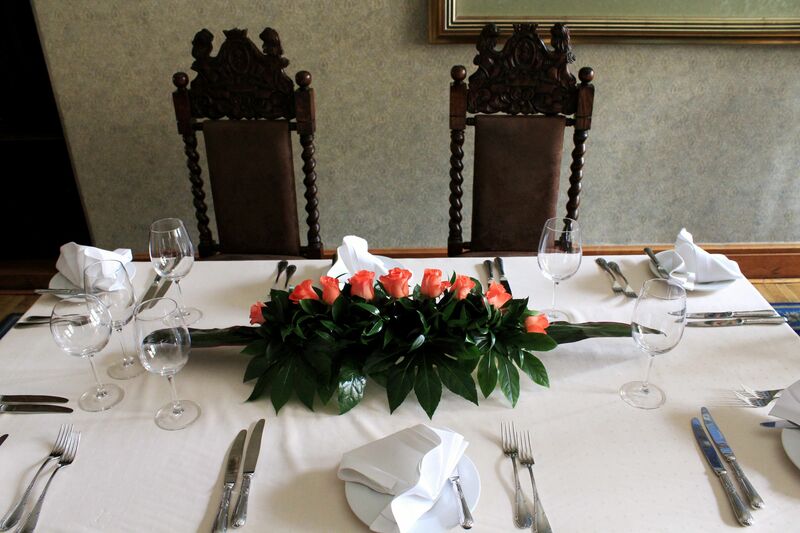 However by reaching into the famous event deeply rooted in the Polish national consciousness, the restaurant Wierzynek created a “bridge” to the past and an impression of continuity….. In this sense the opening of the Wierzynek started only the new chapter in its already very long history. 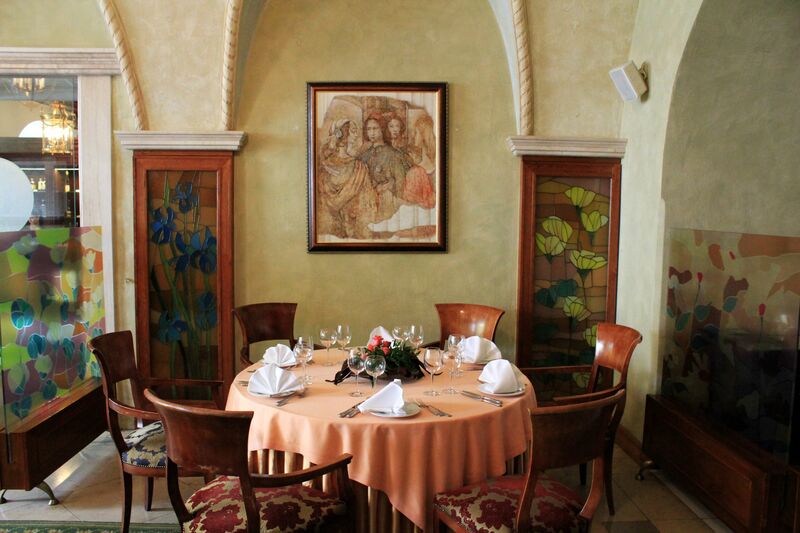 Unquestionably, the location chosen for the restaurant Wierzynek very well fits to the “aura” of historical events back in 1364. The area of Cracow’s Rynek Główny including the 200 x 200 meters (656 x 656 ft) Main Market Square started taking shape in the middle of 13th century. 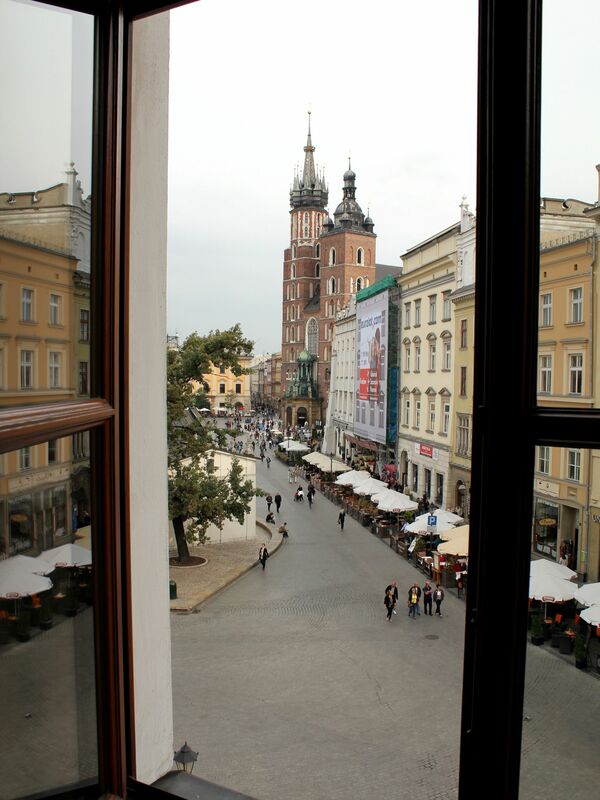 Cloth Hall, City Hall, churches and most of buildings surrounding the square are from the 14th century. Initially Wierzynek opened in Kamienica Morsztynowska (16, Rynek Główny). The building dates to mid-14th century and some believe that it initially belonged to Nicholaus Wierzynek, but that seems to be rather a “wishful thinking” because there are no historical documents supporting this opinion. 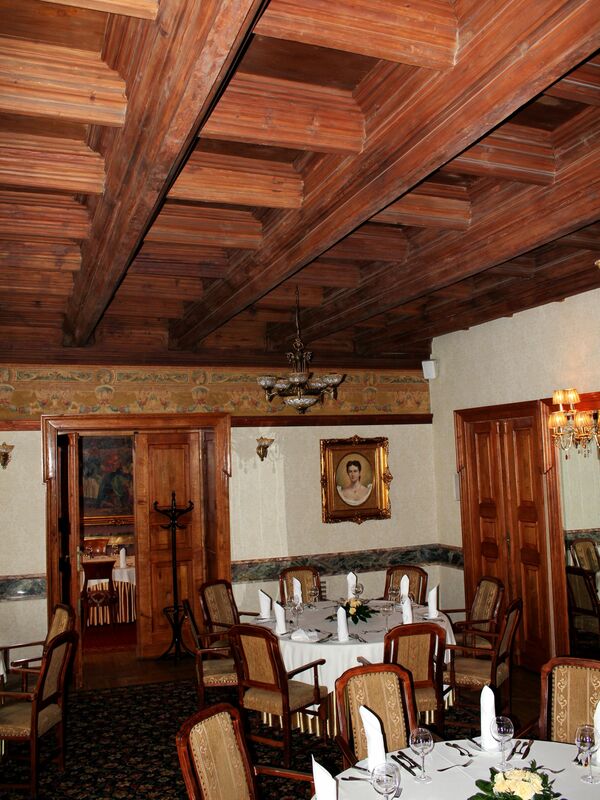 It is known that from the 15th century the building belonged to the family of Morsztyn (hence the name). Its current architectural form is the result of the renovation at the beginning of the 1800’s, by the then owner Antoni Morbitzer. Today the building houses Wierzynek’s Galician Room (ground floor), Chamber of Imagination (1st floor) and Knight’s Room (2nd floor). About twenty years later (1975-79) thanks to the booming business Wierzynek “annexed” neighboring buildings at addresses 15 (Kamienica Pinocińska) and 17 (Kamienica Hetmańska). Kamienica Pinocińska is a bit “younger” with origins traced to the 15th century. Its most beautiful architectural accents are - 16th century Renaissance ceilings with polychrome-decorated wooden beams mixed with original gothic elements. The neo-gothic façade is a result of reconstruction works carried out in 1831. The building for long belonged to a Polish family of Krugel but its current “nick-name” reflects Italian owners – a family of Pinocchi. 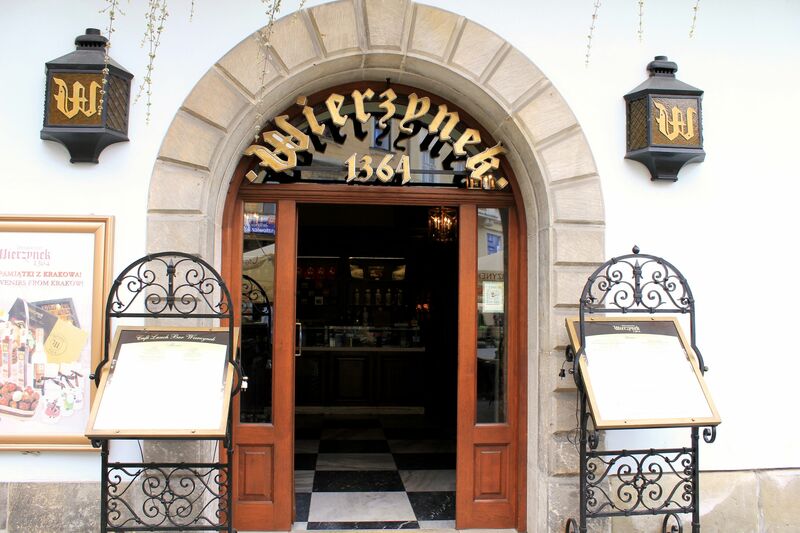 Today, its beautiful arched stone portal displaying Wierzynek’s logo is the main entrance to the restaurant. The ground level houses small souvenir shop (at the entrance) and a splendid Café Wierzynek. 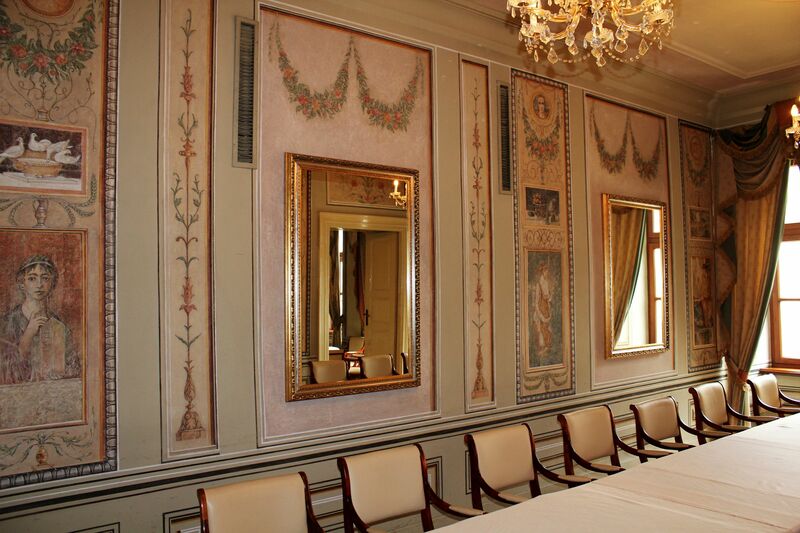 The 1st floor is shared by Columns Room and Wierzynek Room, while the last level houses Small and Large Pompeian Rooms. Kamienica Hetmańska is probably the oldest of the three buildings, with its underground part remembering late 13th century. The major construction works shaping the structure were accomplished in the 2nd half of the 14th century. Architecture rich in ornaments, numerous sculptures (including the head of the Casmir the Great), several Polish coats of arms and in general its “grandiosity” prompted historians to believe that initially the building served as a royal residence. The name Kamienica Hetmańska comes from its 18th century influential owner, the governor of the City of Cracow, hetman Branicki. Undoubtedly this rich, full of history past can really be felt inside of Wierzynek’s walls. Visits by royal families, head of states (Queen Elizabeth II, king of Spain Juan Carlos, Emperor of Japan Akihito, Charles De Gaulle, François Mitterrand, Fidel Castro, Margaret Thatcher, and celebrities like Steven Spielberg, Robert de Niro, Sophie Marceau, Kate Moss ….) prove that the fame of the Middle Ages fiesta is not only alive but actually still growing. As an echo of the past, the second gathering or world leaders was held here in 2006. The exceptionally luxurious interiors and vibrant atmosphere of the place deeply reaching into its “noble” past, make Wierzynek a magic place. 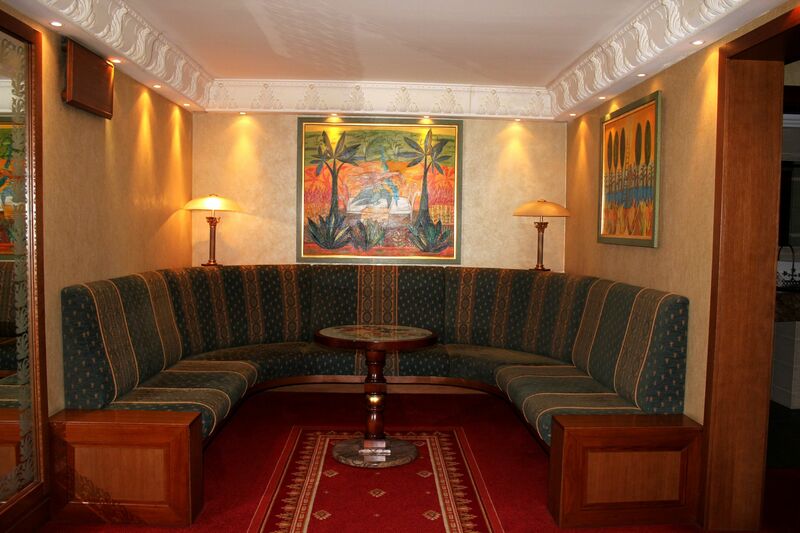 Each room surprises with its unique décor. 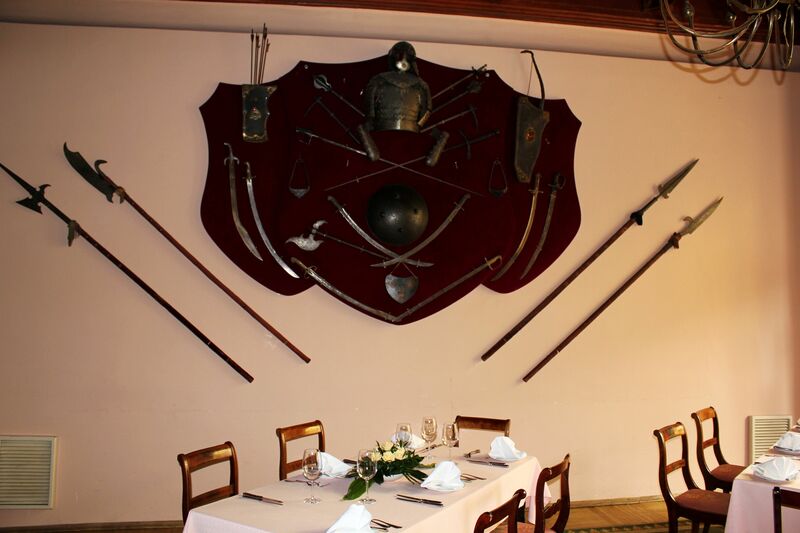 Old armor, sabers, halberds and other more or less sophisticated "white arms" adorn the walls of the Knight’s Room. 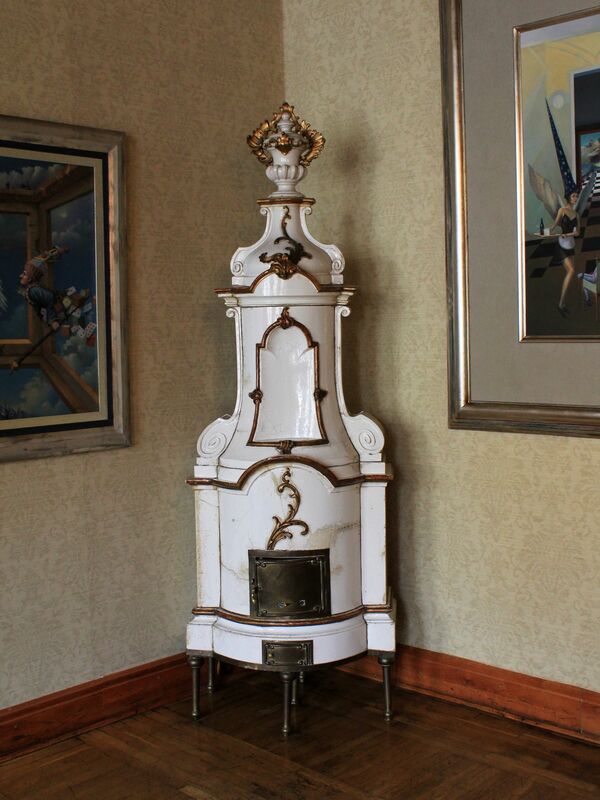 18th century frescos captivate guests of both Pompeian Rooms, modern paintings contrast with old clocks in the Clock Room while beautiful ancient tile stoves literally open guests’ imagination in the Room of Imagination. 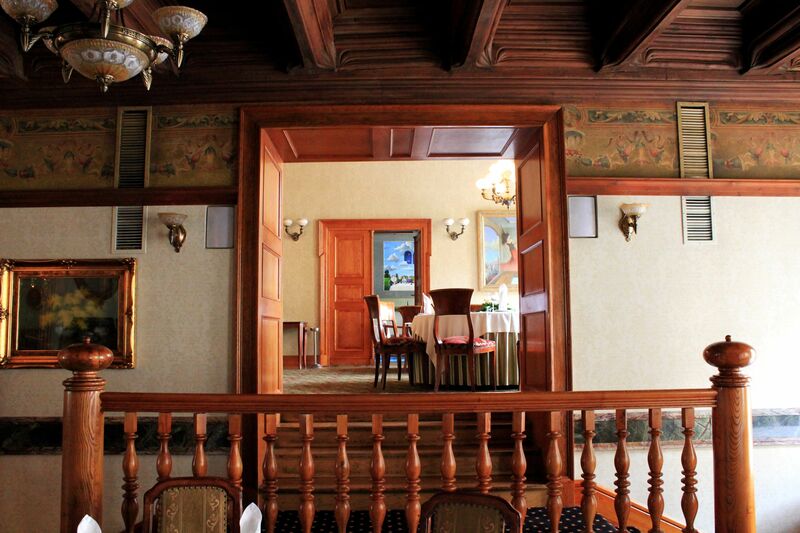 Ornate wooden-beams ceilings, tapestries, polished woodwork, abundance of marble and mirrors and beautiful compositions of fresh flowers add feeling of warmness. 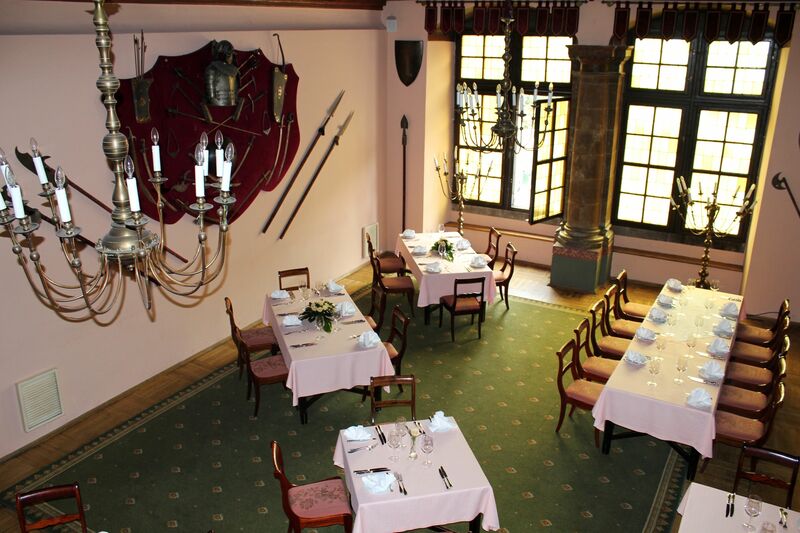 Wierzynek: Knights' Room with a display of armor and all kinds of medieval "white arms"
Windows open a view on the Main Market Square with the famous Cloth Hall, 11th century Romanesque church of St. Adalbert and Church of St. Mary in the background. 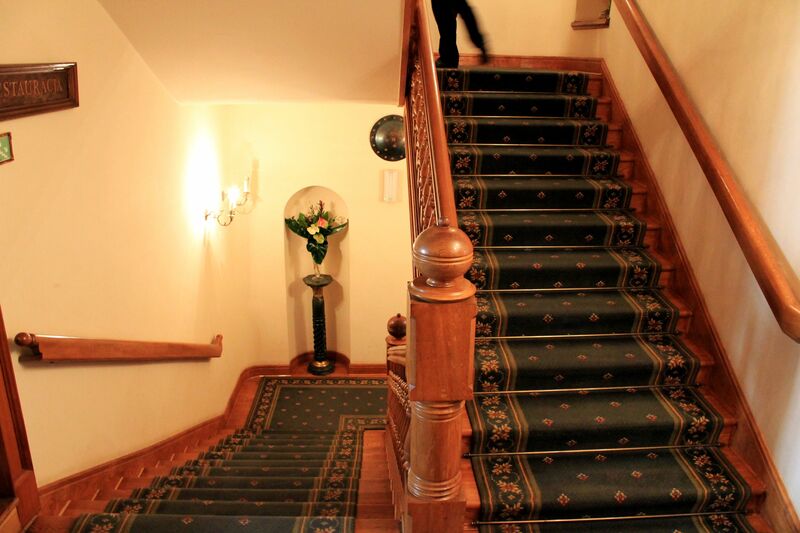 While the rooms at the upper floors offer a splendor and lavishness of the Renaissance, the underground world of Gothic cellars brings the touch of the Middle-Ages. 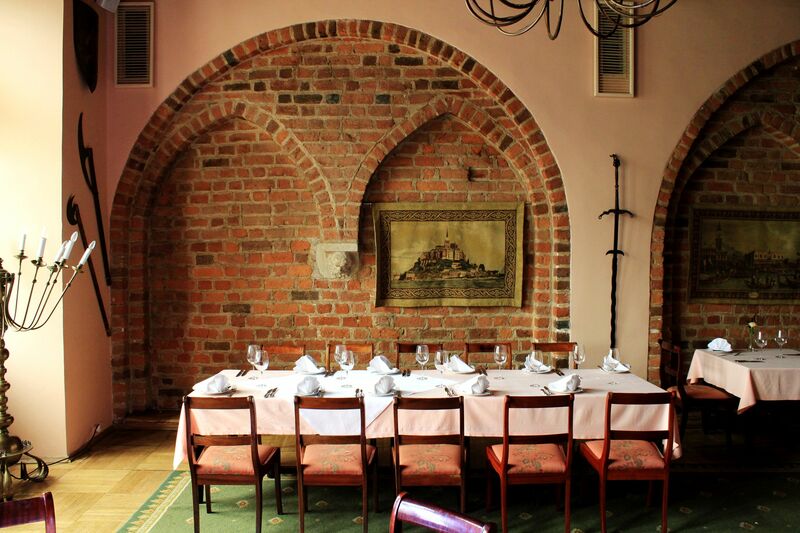 Brick walls and vaulted ceilings create a different world, certainly much closer to the settings of the memorable royal feast in 1364. On the back of the wide open space in the main cellar there is a small, much more private place with the stone well in the center. 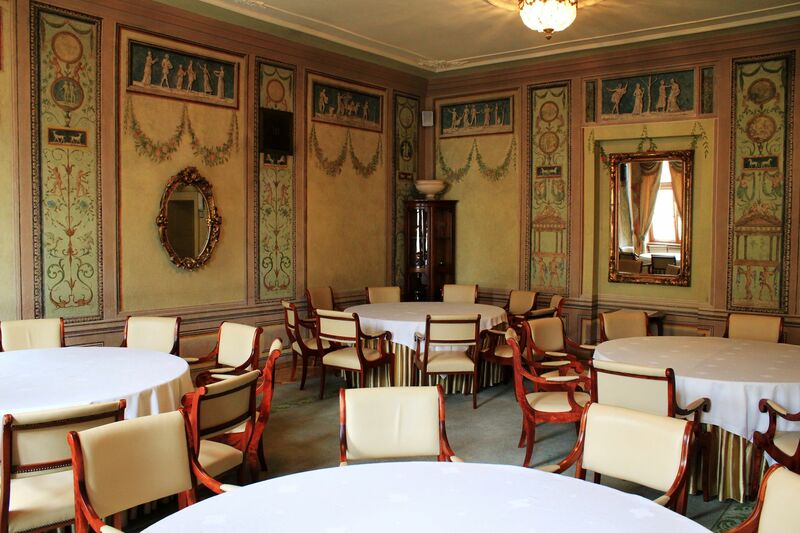 Due to the closeness of the busy main cellar it may not be a perfect place to listen to the voices from the past still resonating within ancient walls, but certainly it may be a great place for intimate meetings. 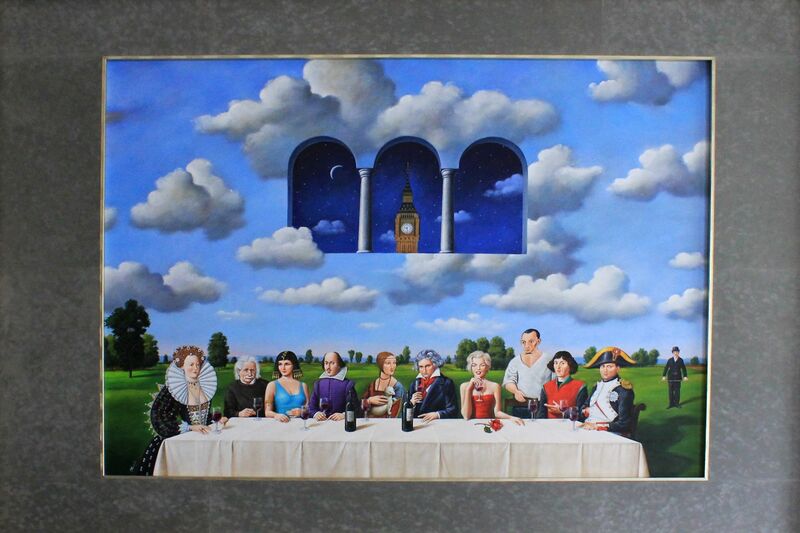 You just started Wierzynek's story and I hope that I inspired your imagination and raised your curiosity and wish to continue this journey from the remote medieval past to the reality of this "noble institution" in our times. Related pages on Amazing World.